Explorers of The Lost Continent can work up an amazing appetite and need a convenient place to rest, dine on the local fare, and quench their thirst. 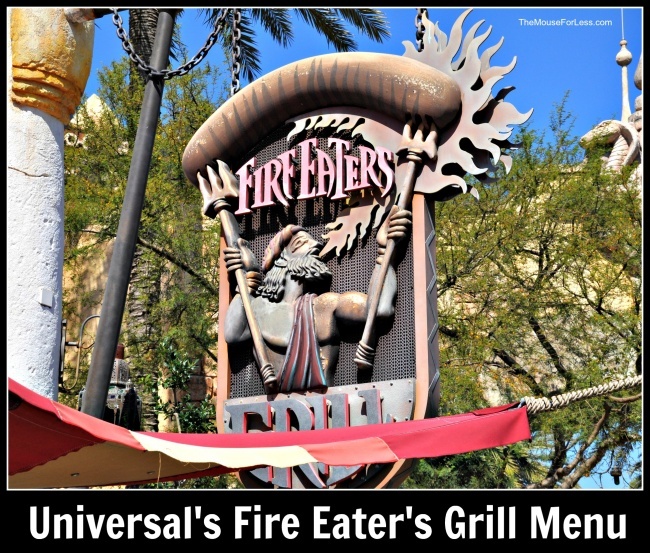 Located in Sinbad’s Bazaar, the Fire Eater’s Grill offers gyros, chicken stingers or fingers, hot dogs and salads. Vegetarian option available with falafel.